Inter Council Aboriginal Consultative Committee member Vicki Nicholson-Brown has been acknowledged for her 17 years of service to the Committee at a ceremony on Friday 3 October 2014. Aunty Vicki is the outgoing Co-Chair of ICACC. 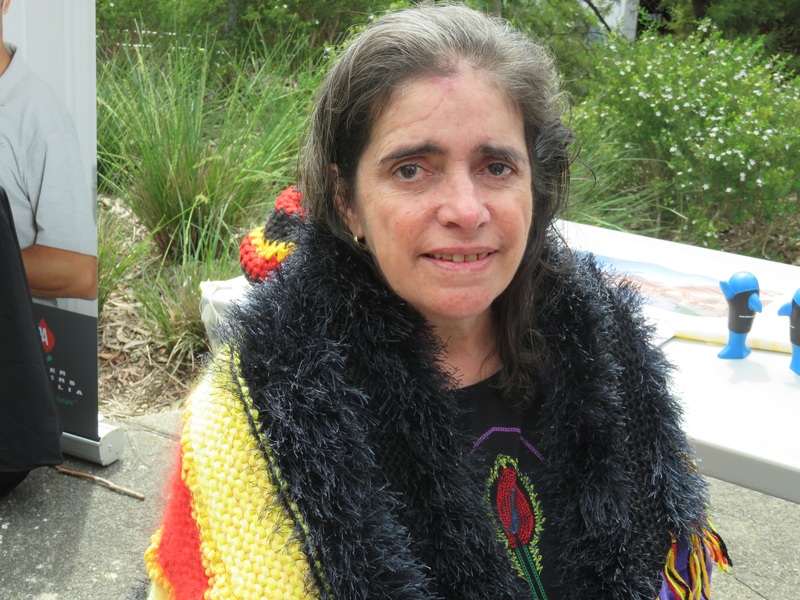 Cr Angela Long, City of Greater Dandenong and ICACC Co-Chair presented Aunty Vicki with a hand knitted Aboriginal shawl in recognition of her long-standing commitment to ICACC. 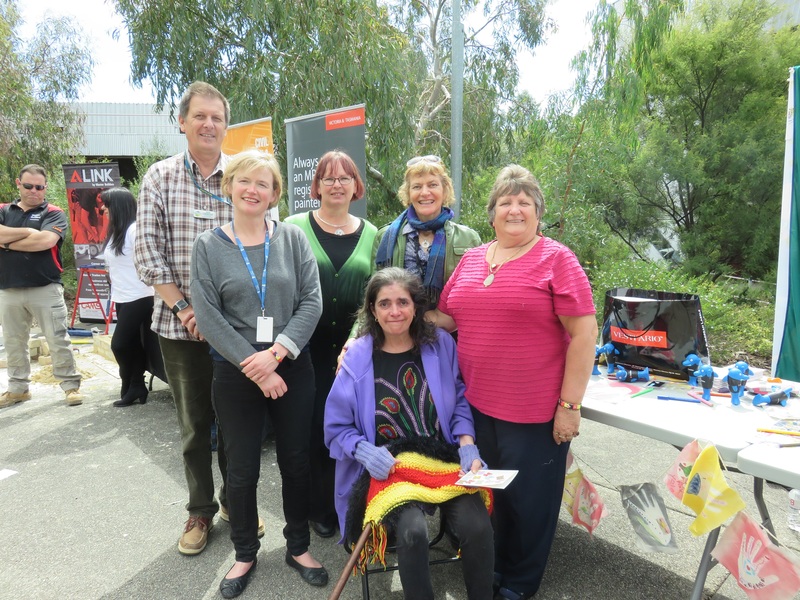 The ceremony was held in conjunction with the annual Bay Mob Health and Education Expo at Monash University, Peninsula Campus, Frankston. L-R standing: Ken Liddicoat, Frankston City Council; Emma Wilkinson, City of Casey; Kerri Ritchie, Bass Coast Shire Council; Kate Daddo, Kingston City Council; Cr Angela Long, City of Greater Dandenong & ICACC Co-Chair; seated Vicki Nicholson-Brown ICACC Committee Member.